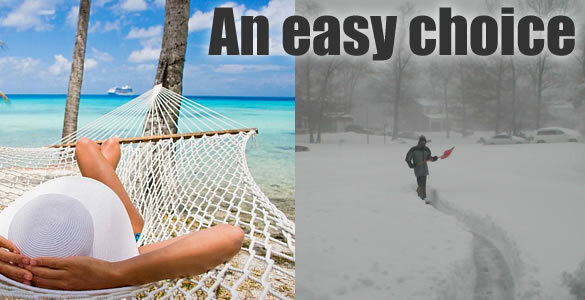 There's a good reason that so many visitors come to Barbados during the traditional "winter" months in their homeland.... while it's snowing and freezing up north, it's warm and sunny in Barbados! The nights are a bit cooler at this time of year, often dropping to 23°C / 73°F. January is within the dry season, so you can expect that there will not be much rainfall. As the humidity is low at this time of year, the heat is not stifling at all. January is outside of the hurricane season, so there is little chance of extreme weather. January is during the peak tourist season, so expect higher prices at hotels and restaurants. 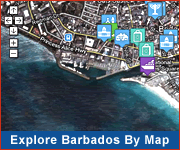 Check Barbados deals for travel savings and tips. Many of our guests visit the island each winter to escape the cold, and often stay for several weeks or even months. They form firm friendships with locals and other visitors, with Barbados becoming their second home. 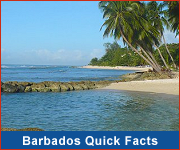 Most will be happy to give you tips for your Barbados holiday. Popular events in January are: Open Gardens, Open Houses, St. Peter's Flower Show and Garden Festival, Barbados Music Awards, numerous jazz events and Gun Hill by Moonlight. Check WhatsOnInBarbados to see what's on in January. Hotels book up quickly for stays in January; book early for good rates and to avoid disappointment. Note: Information provided is based on historical data and personal experience. No guarantees can be made with respect to future weather.